Whirlpool is a manufacturer of home appliances, and has a social mandate to support the health and wellness of the communities in which it operates. 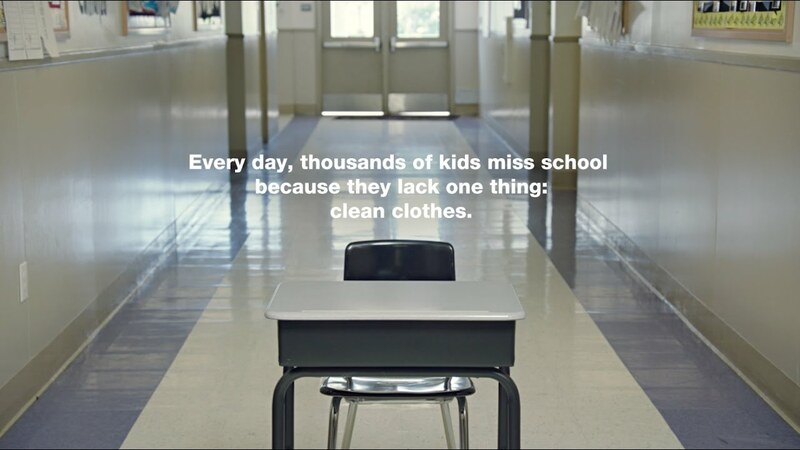 Whirlpool recognized that thousands of kids’ skipped school each day in the U.S. partly because of a lack of access to clean clothes. Whirlpool’s Care Counts initiative launched to provide washers and dryers to schools so no child would lack access to clean clothing, and to support children at risk of leaving the education system. The results were immediate, and startlingly impactful. Its pilot program provided 17 washers and dryers to two schools. In 12 months, 2,000 loads of laundry washed, averaging 50 loads per participating student. Ninety per cent of students tracked higher attendance, being present at school two weeks more than the previous year. Teachers also recorded an increase in classroom participation from 89 per cent of students. Now Whirlpool has partnered with Teach for America, enabling the program to grow to 60 schools across 10 US school districts. Whirlpool shared its campaign to inspire others through YouTube and media relations, featuring on NPR, Fox, CBS News and Washington Post. Whirpool won the Grand Prix at Cannes for its use of data, and gold in the WARC innovation awards.